→ Next: Announcing My Next Children’s Book…Captain Perseverance! I am excited to announce that Alaska: Twenty Poems and a Journal, one of my very first adult books, has been reformatted and is back in publication! Alaska is currently available for pre-order for signed copies and will be available in both paperback and ebook. Alaska tells the story of a middle-aged man on the side of a mountain, the story of a sea kayak afloat in the mystery of eternal ice – the story of civilization washed away by the magic of an ice-cold skinnydip – and in a quiet way it tells the story of a love which like the magnetic pole reaches across a continent to show the way home. 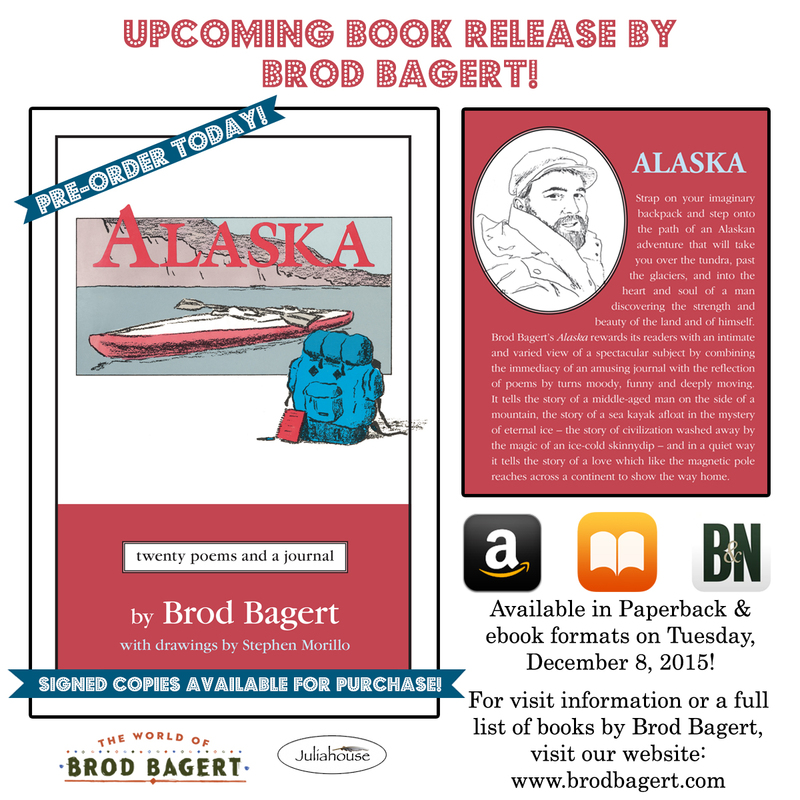 For more information about Alaska and to order a copy, click here.